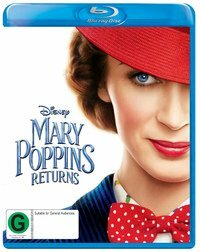 ➢ “Mary Poppins lands on Ultra HD with a smashingly good and delightfully charming HEVC H.265 encode. Shot on the Arri Alexa camera system capable of 3.4K resolution and mastered to a 2K digital intermediate, the upscaled transfer may not cast a dramatically better spell than the Blu-ray, but it’s nonetheless a welcomed step up.” — High-Def Digest. 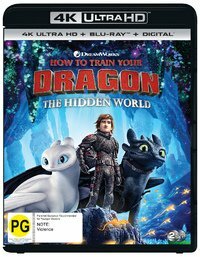 ➢ “The 2160p HEVC-encoded transfer, which replicates the film’s 2.39:1 theatrical aspect ratio, is a noticeable but often subtle upgrade to the included Blu-ray edition. Most of these improvements, though, are not from the increase in resolution, but from the wider colour gamut, shadings, and contrast obtained through its use of HDR10.” — Home Theater Forum. ➢ “The colours come out in full force and the 2.39:1 AVC HD transfer starts to show its literal ‘true colours.’ And yes, there’s an animated sequence for nostalgic purposes. Or maybe it’s just the way they wanted to do things? 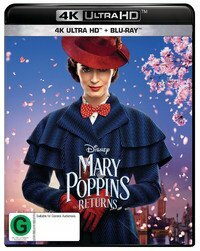 In any case, Mary Poppins Returns does look the part with sharp, detailed images and strong contrast in most scenes.” — Blu-ray Authority. ➢ “Annihilation is a movie that is not particularly concerned with visual dazzle, favoring its own narratively complimentary texturing over visual delight. 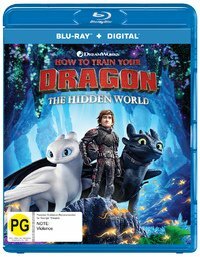 That is not to say that the movie does not look good, most of the time, on Blu-ray; there are many things to like about Paramount’s transfer, but those simply in search of an eye candy 1080p presentation need not look here.” — Blu-ray.com. ➢ “The end of life on Earth crashes onto Blu-ray with a lovely 1080p/AVC MPEG-4 encode, the perfect way for enjoying what has to be one of the most beautiful movies about extinction ever. Faithful to the stylised cinematography of Rob Hardy, the freshly-minted transfer [is] taken directly from a digital source.” — High-Def Digest. 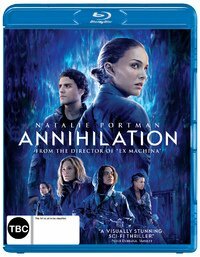 ➢ “Shot in 6K and mastered in 4K, Annihilation‘s 1080p24 MPEG-4 AVC 2.40:1 widescreen Blu-ray transfer looks truly state of the art with ravishingly crisp detail.” — Rewind. ➢ “Sony’s 1080p transfer reveals the Victorian costumes and set pieces with clarity and splendour. The image is tack-sharp and immaculately clean, highly detailed and richly coloured. 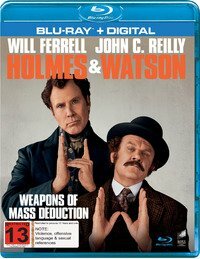 The presentation has no difficulties with revealing period attire and furnishings with high-yield clarity.” — Blu-ray.com. ➢ “Black levels are nicely deep and inky, especially during night scenes taking place down dark cobblestone alleyways, while whites are clean and pure. Primaries also pop off the screen.” — High-Def Digest. 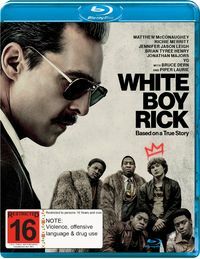 ➢ “White Boy Rick was reportedly shot digitally, but the image’s textural qualities practically pass for film, with what appears to be a grain overlay digitally inserted in post production to give the film a more authentic period look and textural feel. Sony’s Blu-ray presentation is gorgeous beyond a few blips around the edges.” — Blu-ray.com. ➢ “There’s not a lot of colour in the film, with most scenes taking place indoors or at night. The 2.39:1 AVC HD image does do a great job of giving the movie its own temperament. Contrast is strong, with bold black shadows not suffering in the least. Detail is amazing.” — Blu-ray Authority. Fruit Baskets: The Complete Series.